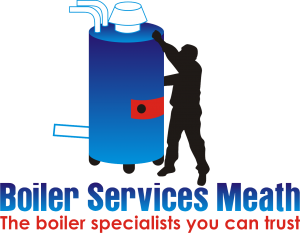 Your local team at boiler services Kells part of the highly regarded boiler services Meath team are available 24/7, 365 to help you with anything and everything to do with boilers and central heating. If you need your annual boiler service and emergency boiler repair or a new boiler installed you can rely on us to help you. We have been serving the people of county Meath successfully now for around thirty years now and during this time our good reputation has continually grown. Why should I choose boiler services Kells? If you read on below hopefully you will find some good reasons for picking us. We are comprehensively insured and guarantee all of our work with our standard 1 year parts and labor warranty. We are boiler specialists, why pay the same or more money to a standard plumbers when you can have a specialist who will be more time efficient as they have more experience in the field. All of our staff at boiler services Kells are fully qualified, RGI accredited and up to date with all H & S legislation. We are honest and transparent. All our prices are given up front and won’t change. We are not vague with prices as some companies or individuals are so as they can add on hidden charges or fees. we don’t charge for call outs, travel time and we get parts if required in our time not yours. This means you always know where you stand. We will happily provide free quotes without obligation on any jobs you may have in mind. Our staff are polite and courteous at all times and most of all reliable. If we say we’ll be there, we will. If we take on a project and a give a completion time it will be completed. We operate 24/7 in Kells and throughout Meath, this means if you have an emergency boiler breakdown we don’t let you shiver in the depths of winter. If you call any time of the day or night we can usually have one of the team with you in under an hour. On arrival the will quickly diagnose the problem and get you warm and toasty again as quick as humanly possible. Whatever you need whether its your annual boiler service in Kells (€55-€85 depending on the make and model), boiler repair, boiler installation, pump repair or replacement call the experts at boiler services Kells today on 046-9011255 for a free quote.